What comes to your mind when you think about Jesus Christ? Do you think of him as a man of peace? A nice guy? A moral teacher? A prophet? The Gospel of Mark certainly did not portray Jesus of Nazareth as a person who brought peace. 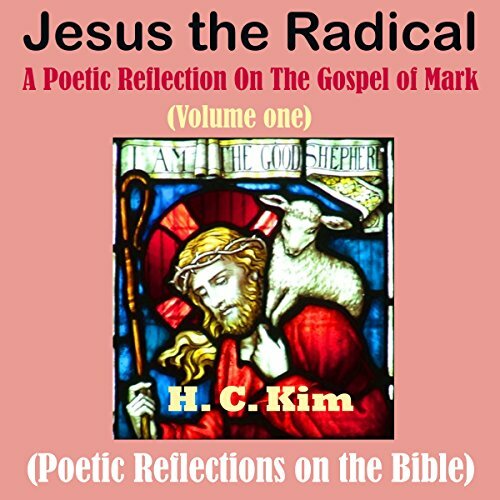 In fact the Gospel of Mark portrayed Jesus Christ as a troublemaker and a rebel. Jesus of Nazareth definitely was not a team player. He offended religious leaders of his time, the Pharisees and the Temple priests. They even wanted to kill him. What was it that Jesus did that made some people hate him so much as to try to kill him? What was his message? Although there were those who sought to kill Jesus, he had a large following. Many people adored him. Some even traveled many miles on foot to see him and hear his word. What was it about Jesus Christ that attracted all these people? These are some of the questions that H.C. Kim tries to answer through his poetry. These poems will move you in ways that you have not imagined possible.